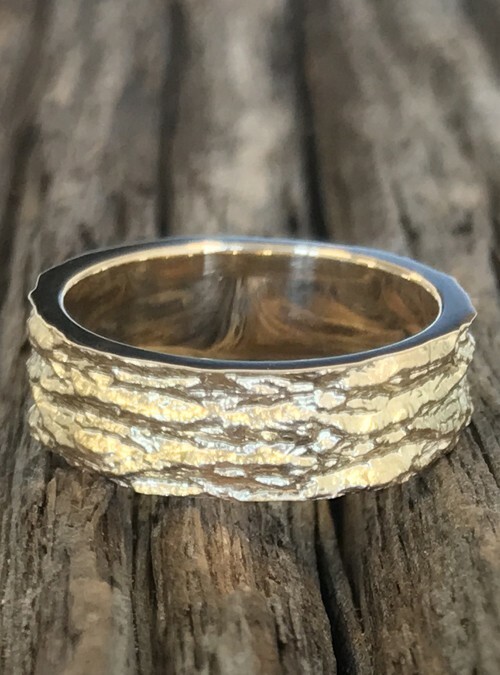 Feel great wearing this yellow gold ring with White Ash tree bark texture knowing that your purchase planted trees and is helping sustain vulnerable woodlands. 6mm wide. Also available in sterling silver and yellow and rose gold. Feel great when wearing this incredible yellow gold ring with White Ash tree bark texture knowing that your purchase planted trees.